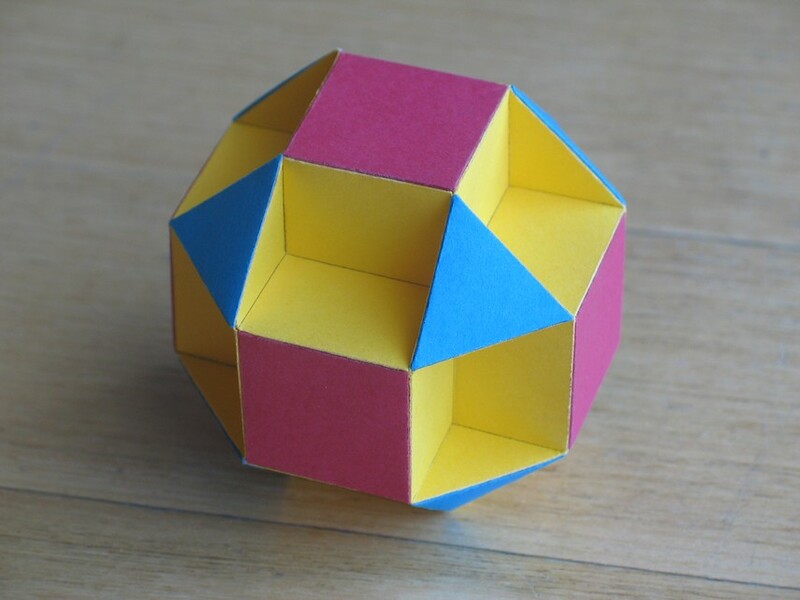 Small: To distinguish polyhedra that would otherwise have the same name. 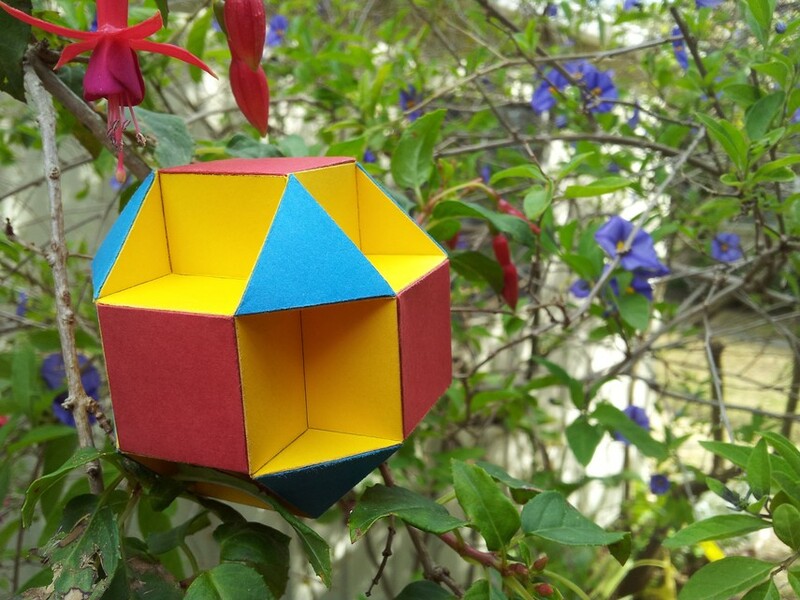 A uniform polyhedron whose faces consist of 8 triangles (blue), 6 squares (red) and 6 octagons (yellow). It is a faceting of the rhombicuboctahedron, that is, it shares the same vertices. It also shares the same vertices with the small rhombihexahedron and the stellated truncated hexahedron. In fact all but the last of those share the same edges too.